The fracture in the Fast & Furious family continues to grow via Tyrese Gibson’s Instagram account. On Thursday, the actor, who has starred as Roman Pearce for five Fast films, continued his social media attack on “clown” Dwayne Johnson. Gibson’s latest comments come as Universal officially announced plans for a Fast & Furious spin-off, which is being eyed as a starring vehicle for Johnson and Jason Statham. This is just the latest in the saga surrounding Gibson’s Instagram account and a proposed Hobbs-centered spin-off. 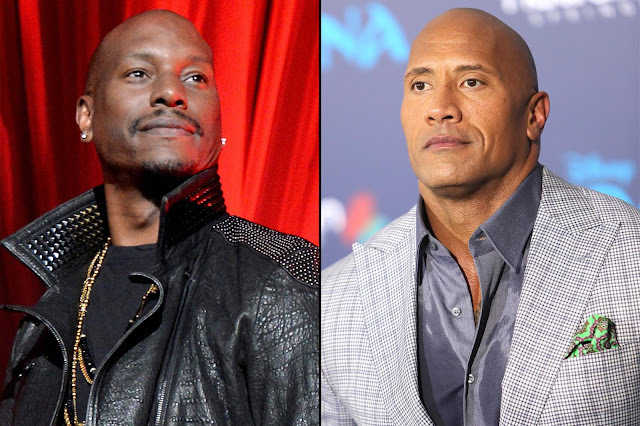 Last month, the actor took the family dispute public by using multiple posts and comments to plead with Johnson to not let the rumored installment delay Fast 9. Then, on Wednesday, with the official announcement of Fast 9 being pushed back from 2019 to 2020, Gibson once again called out his costar on social media. Universal had no comment, while representatives for Johnson did not immediately respond to EW’s request. The Fast spin-off speeds into theaters on July 26, 2019, followed by Fast 9 on April 10, 2020.